I’ve officially crossed the ‘late 20s’ mark a few weeks ago which also means the red alert for wrinkles is now full on. 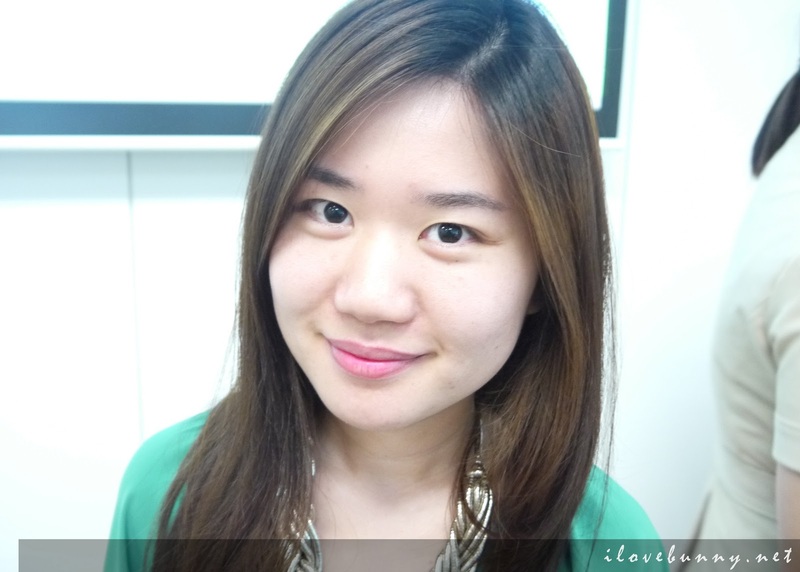 However, I have to be really mindful with this one as my skin is not the most receptive to rich creams and serums. These products tend to suffocate the skin, causing congestion and zits. I need something naturally formulated, that is free of mineral oil, glycol, parabens, etc. And the great news is – I think I may have found the best anti-aging candidate for my skin at the recent Origins Blogger Workshop. Inspired by Hippocrates’ ‘Let your food be your medicine and your medicine your food‘, Origins’ new Plantscription range represents state-of- the-art anti-aging technology that promises to produce firmer and more resilient, youthful-looking complexion. I’ve always been very impressed with Origins’ natural and effective products as well as their eco-friendly manufacturing practices. So accepting this blogger workshop invitation was certainly a no-brainer. Here are some of the highlights from the workshop. 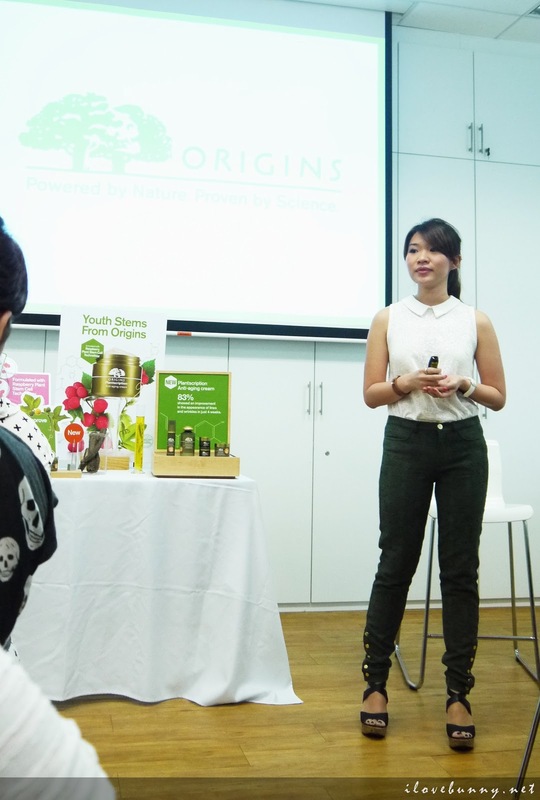 That’s the pretty Fang Wen, Marketing and PR Executive of Origins presenting the goodness of the Plantscription products. 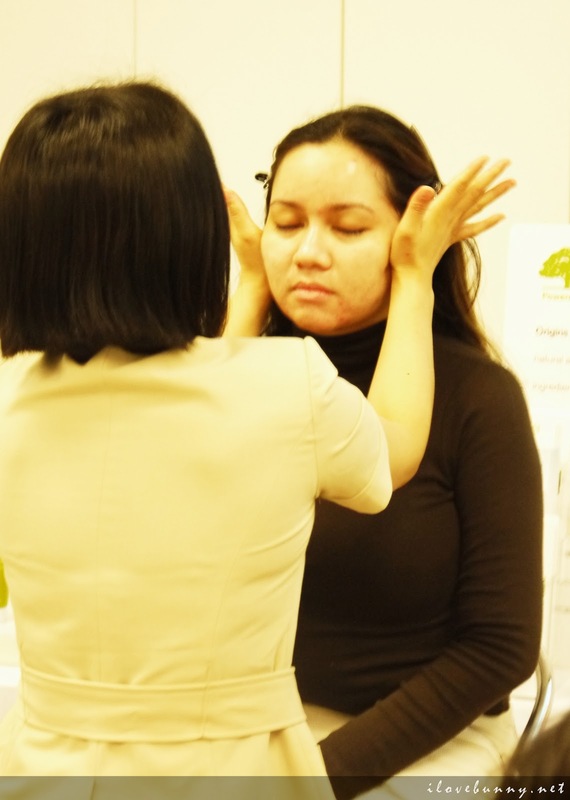 The Origins beauty therapists demonstrating the optimal way of cleansing and applying the Origins products. I volunteered myself for the demonstration too! Besides giving me a relaxing mini facial, my Origins therapist also extended some beauty advice. She recommended warming the cream by massaging it with your hands before smoothing it on the face. This will allow better absorption of the cream. Thanks for the tip! 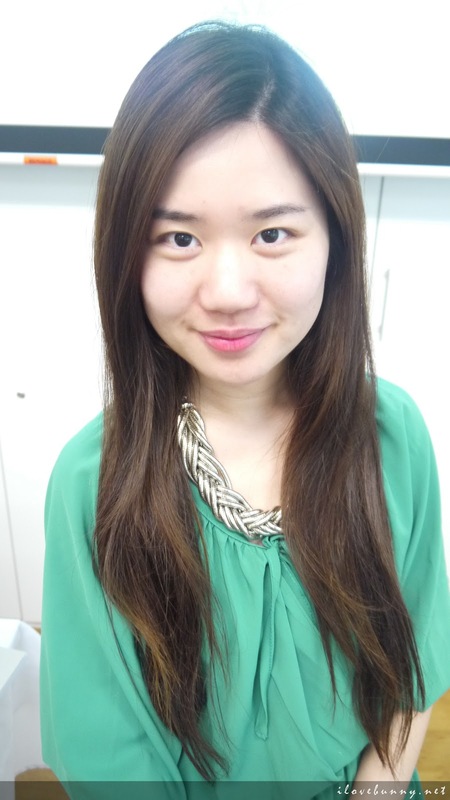 And here’s my face before the treatment. To be honest, I don’t think there was a visible difference but mentally I felt more refreshed and energized. 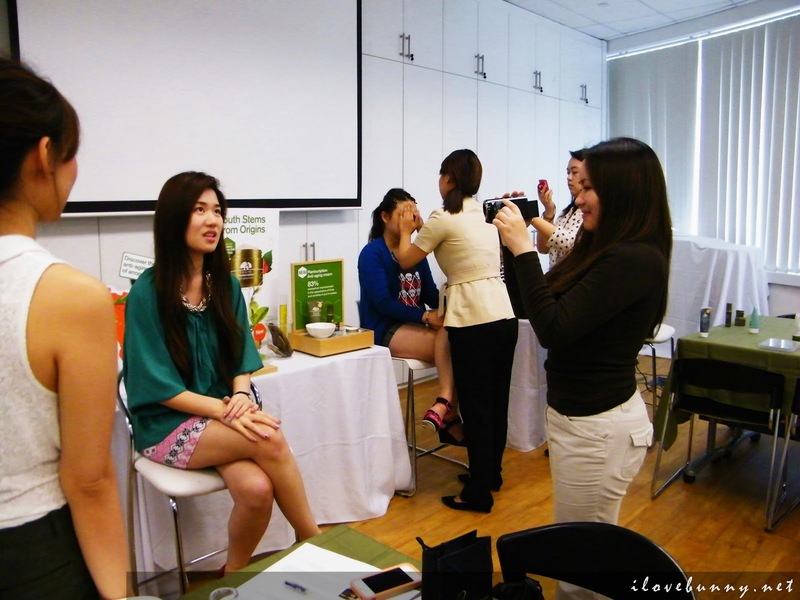 The fruity scent of the products perked me up instantly. I was also invited to do a video review of my experience. 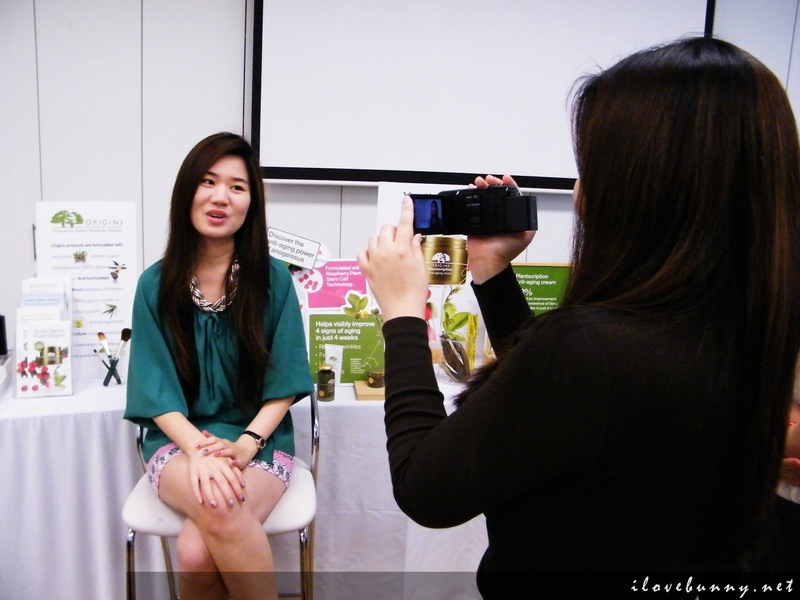 You can watch the video coverage of the workshop here. Good news! You could also try the mini facial too! Simply request for it at any Origins counter. 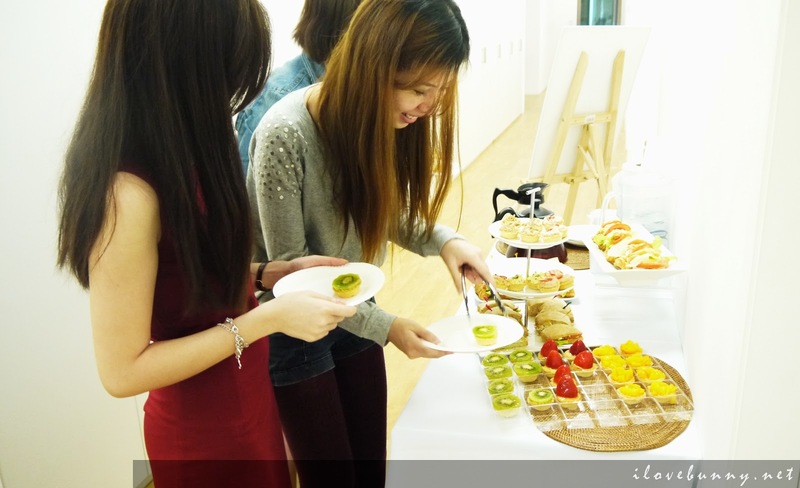 The workshop was a resounding success. 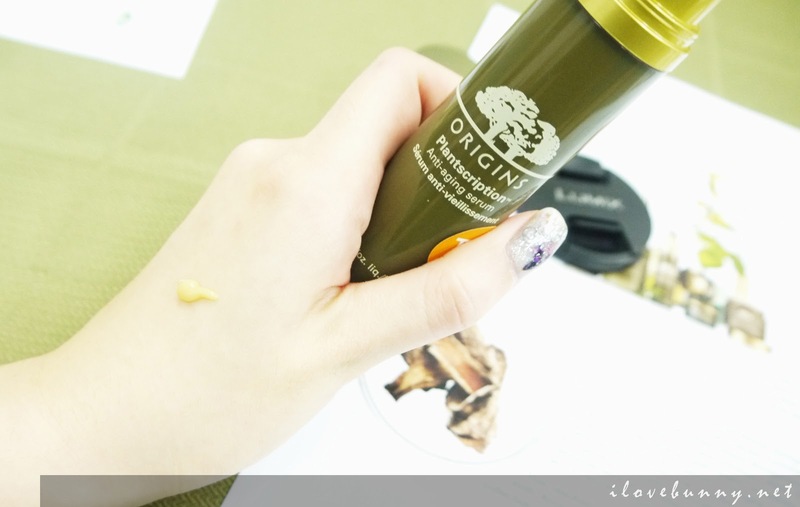 We were not only enlightened with beauty knowledge, we also got to bring home the new Plantscription Anti-Aging Cream. 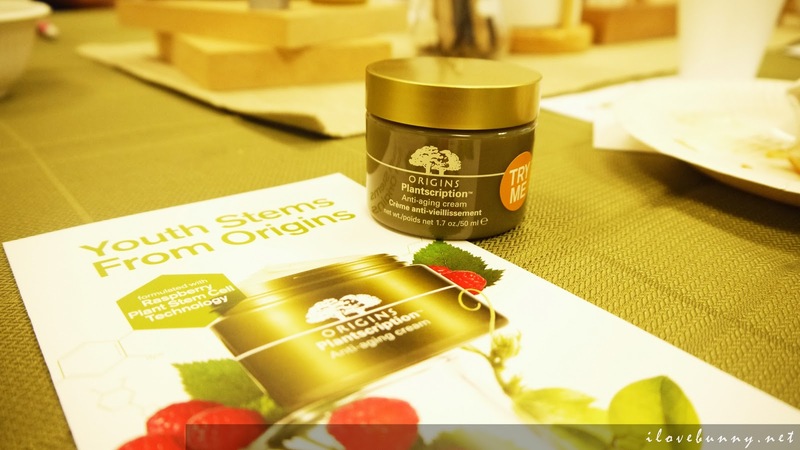 Besides the anti-aging star ingredient, African Anogeissus Tree Bark that is present in all Plantscription products, the Plantscription Anti-Aging Cream contains another new ingredient from nature, Raspberry Plant Stem Cells. Inspired by the science of cellular plant cell regeneration, each jar of Plantscription Anti-Aging Cream contains 300,000 Raspberry Plant Stem Cells to revitalise aging skin and reduce wrinkles. Among hundreds of ingredients put under study, only a handful made it to Origins high-performance formula. 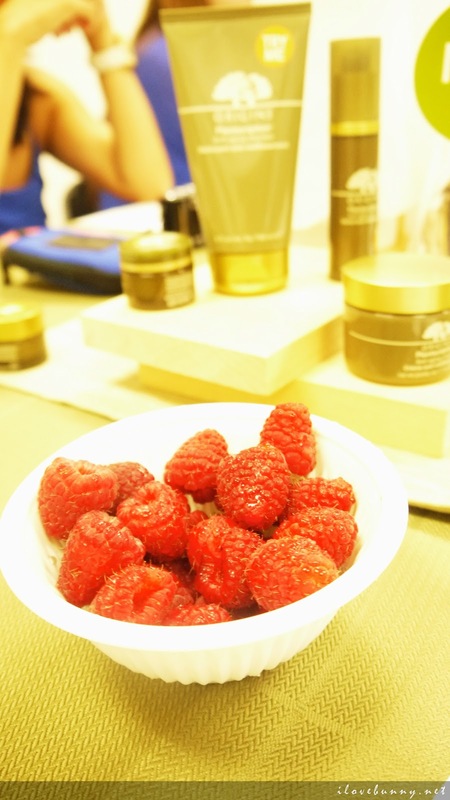 The Raspberry Plant Stem Cells used in the Plantscription Anti-Aging Cream were extracted from a specific strain found from a single garden in Dei Lombardi, near Avellino on the Apennine Mountains in Italy. This strain was found to contain the highest level of biologically active compound. 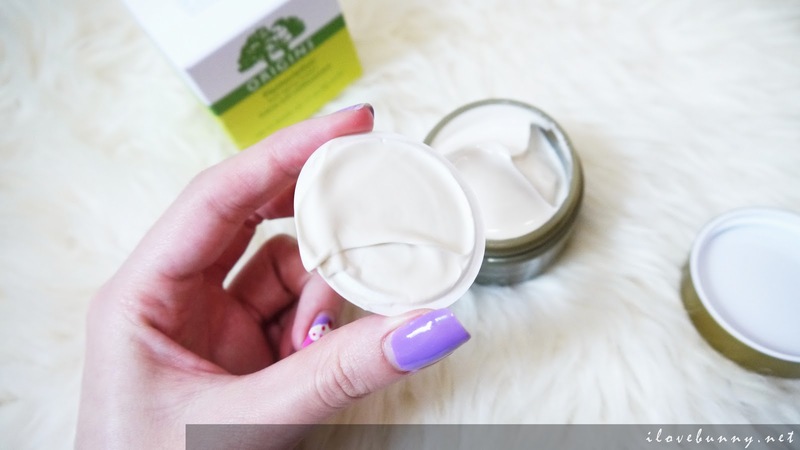 Plantscription Anti-Aging Cream is safe and effective for all skin types and is a perfect complement to Plantscription Anti-Aging Serum, which has been the No. 1 Top Seller of Origins. I smell nature everytime I open the lid of the tub. The fragrance is soft and alluring. And the best part is, the lightweight cream absorbs into the skin pretty quickly, leaving a smooth and silky finish. Apply only a dollop of the anti-aging cream each time. Anything more and you may create a sticky finish. The cream retails at SGD110 for 50ml which I thought is rather pricey. But for its naturally derived ingredients and rejuvenating properties, I guess it still deserves 4 Honeyz crowns. 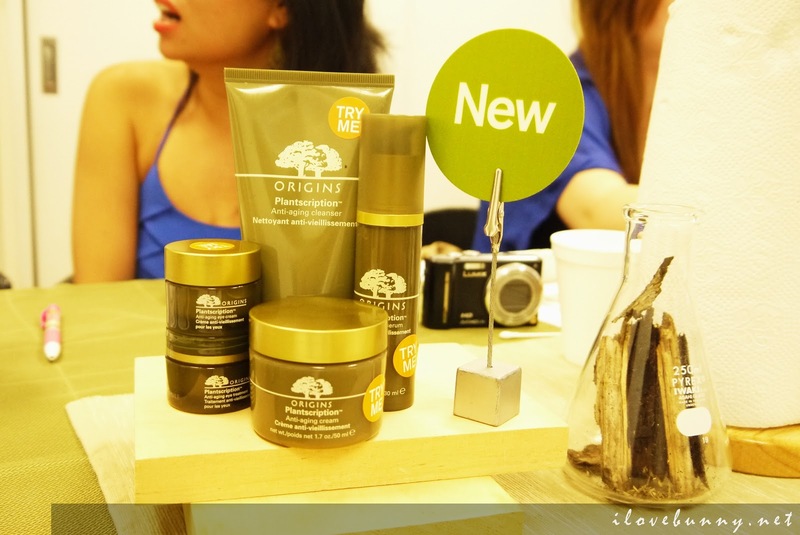 The prices range from SGD78 to SGD118 for the Origins Plantscription anti-aging products. (In addition to Anogeissus Tree Bark, this serum is formulated with Siegesbeckia and Rosemary Extract, which help rebuild natural collagen and elastin and help visibly decrease depth and length of lines and wrinkles and strengthen skin. 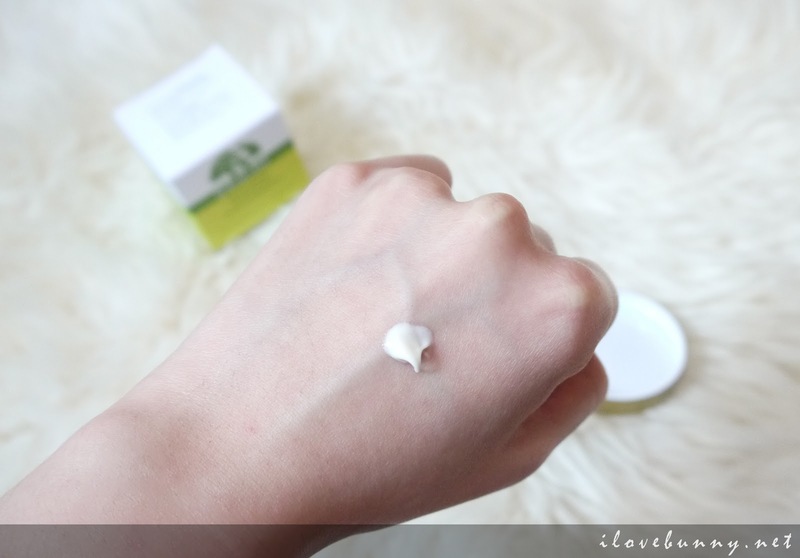 An eye cream that is suitable for dry eye area. Addressed 4 major signs of aging including crow’s feet, cross-hatching lines, under eye troughs and lid crepiness, while also helping to visibly lift and firm the eye area. 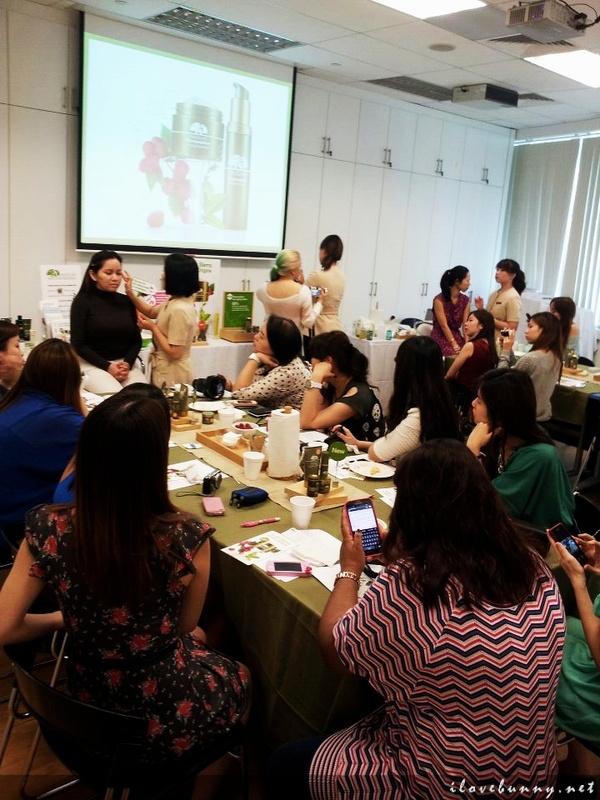 Thank you Origins Singapore, Skincare DB and fellow bloggers (Elva, Rusty and Michelle) for an amazing morning of beauty and banter! 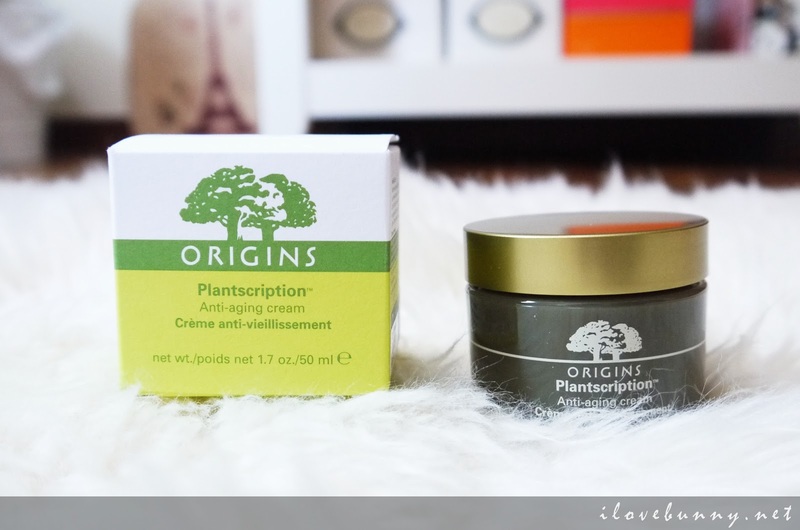 Have you tried the Origins Plantscription products too? I wanna know what you think! Share your reviews with me and fellow Honeyz Belles at Honeyz Cube! Honeyz Cube’s BIGGEST Facebook Giveaway yet! The anti aging products serve various purposes such as; they reduce the fine lines and wrinkles from the skin, and tighten the skin etc. Good News! Buy natural,organic products online! I got the anti aging skin care information really interesting it's superb. 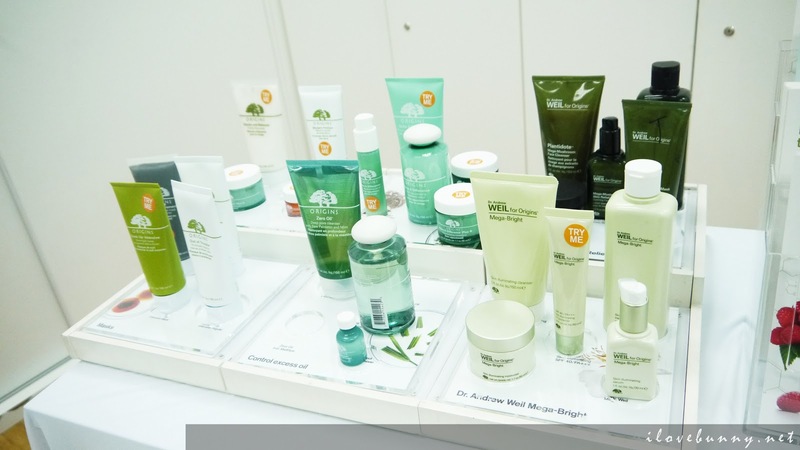 I need the right product path with anti aging skin care products at affordable price so please suggest me. If you want to get some tips over best anti aging skin care then just move on that.